It acts as a healing tool to improve the appearance and texture of the skin. Using the latest technology, it combines pure oxygen with nourishing serum to penetrate deep layers of the skin. A cocktail infusion of vitamins, aloevera, hyaluronic acid and green tea extracts delivered into the skin with pure hyperbaric oxygen, thus helping fight free radical damage that causes fine lines and wrinkles. The treatment lasts for around 45 minutes, is soothing and calming and has neither side effects nor downtime. It makes your skin look younger, fresher and brighter. It plumps up fine lines and lips, and rehydrates the skin. It takes care of sun damage and brings back a youthful glow to the face. It is particularly effective for tired skin that is stressed by city life. 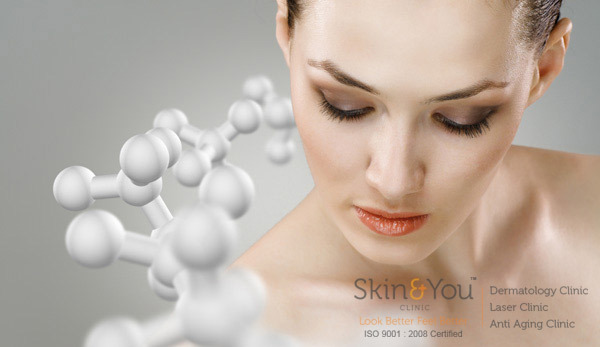 Why Skin & You Clinic for oxygen facial Treatment? We at Skin & You Clinic use the intraceuticals system from new zeland Australia, the serums and solutions used are well researched and products suited according to skin type are used. The procedure is simple effective with lasting results and no downtime. A quick lunch time procedure.